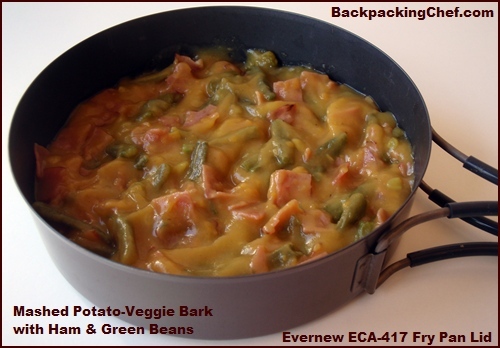 August 2013 Trail Bytes: Save the Vegetable Water for the Potato Bark! Valèrie and Tim had a great time exploring Norway last month. That’s Valèrie, one of our three daughters, on the cover getting ready to cook some noodles and veggies with tomato sauce. Preikestolen, also known as Pulpit Rock, is in the background. Valèrie made us a lovely photo journal of their trip. 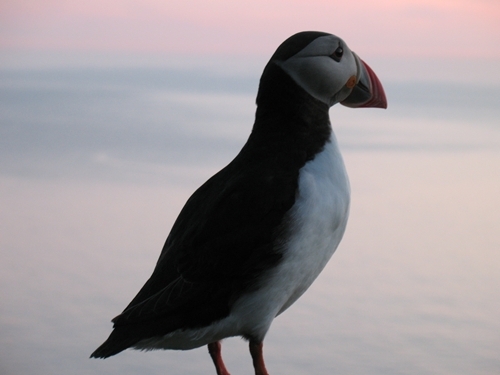 They drove 2700 miles all over Norway in two weeks and took some outstanding photos. View their Norway Photo Journal. I made some super-healthy potato bark while drying meals for Valèrie and Tim’s trip to Norway last month. I was precooking the vegetables – peas, corn, broccoli, green beans, mixed vegetables and carrots before dehydrating them; and thought it would be a shame to pour the tasty and healthy vegetable water down the drain. Instead, I substituted the vegetable water for the cartons of beef, chicken or vegetable broth that I usually use to make potato bark. I added half of an organic vegetable bouillon cube to the vegetable water. Boil two to three pounds of any vegetables for about eight minutes in three cups of water. Add half a bouillon cube to the water while you are cooking the vegetables. Remove vegetables but save the water. Peel 2½ pounds of potatoes and cut into pieces. Boil potatoes in the vegetable water until soft. If you were to pour off the water, you would have about two cups, but leave it in. Mash the potatoes and then run them through a blender until smoothie-like. This produced five cups of mashed potatoes which I spread thinly and dried at 135° on three Excalibur Dehydrator trays. When dry, I had three cups of potato bark. I dried vegetables on the other two trays. My book, Recipes for Adventure, shows another technique to combine whole vegetables or other roots with potatoes to make Potato Vegetable Bark. I made Valèrie and Tim Potato Spinach Bark for one meal. Apricot Raisin Cobbler shared by Front Row. Chicken & Cheese Couscous shared by Tom. Couscous with TVP & Tomato shared by Calla's Dad. Salmon Cakes and Spam Chimichangas shared by Shelley. View the new recipes and thanks for sharing! Brendon: I am considering buying a dehydrator to prepare food for extended camping trips. What size would you recommend and is it worth going for a 5-tray or do you go for the bigger version from the start. We will be preparing meals for four people and trips in and around Southern Africa for anything from a couple of days up to four weeks. Chef Glenn: If you’re considering an Excalibur Dehydrator, a 9-tray unit will save you a lot of time when drying food for those 4-week trips. A 9-tray unit costs 20% more than a 5-tray model, but provides 80% more capacity. Well worth the extra fifty bucks to me. I have a 9-tray in the USA and a 5-tray in Switzerland. I recently added more detail and thorough review of my Excalibur Dehydrators, comparing capacity and tray features with Nesco Dehydrators. View my new Food Dehydrator Review. See you next month. 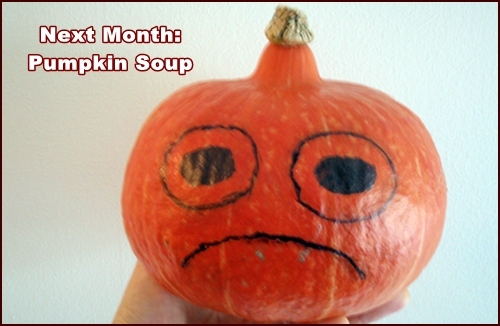 I am going to turn this pumpkin into soup!